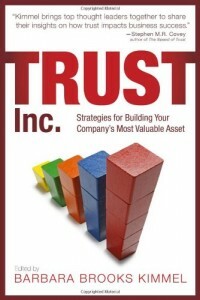 Attached please find our July ebook, Volume 6 of the Trust Reader. 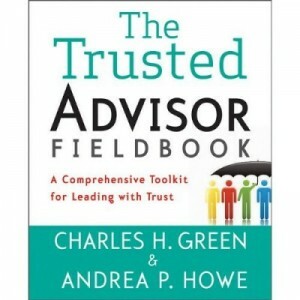 The TrustReader series announces the publication of new articles on the Trusted Advisor website. This month’s issue consists of three marketing and strategy-related articles. We lead with a piece first printed in Businessweek.com about the changing view of strategy. Yesterday’s strategy was about competing–with competitors, suppliers, customers. Today’s strategy is about how barriers have broken down–today your competitor can also be your partner and your customer. That’s a big change. It means we have to shift the second- and third-order downstream implications of the word ‘competition’ when we think it. It means we have to re-examine the daily nature of our interactions with those groups. And it means we need to start systematically replacing ‘compete’ with ‘collaborate’ as the mother’s milk of business. Three Strategies for Creating Customer Trust, first published in The Customer Collective, about exactly what the title says. Deliver the Perfect Pitch, first published in RainToday.com, giving nine rules for successful pitch presentations to clients.